The common perception of Alaska is that of cold and snow, but it does have a summer, and it does get to 90 degrees – but never this early. The early record should lengthen the growing season, but it will also exacerbate the threat of wildfires, thawing permafrost, and probably blossom the mosquito population. 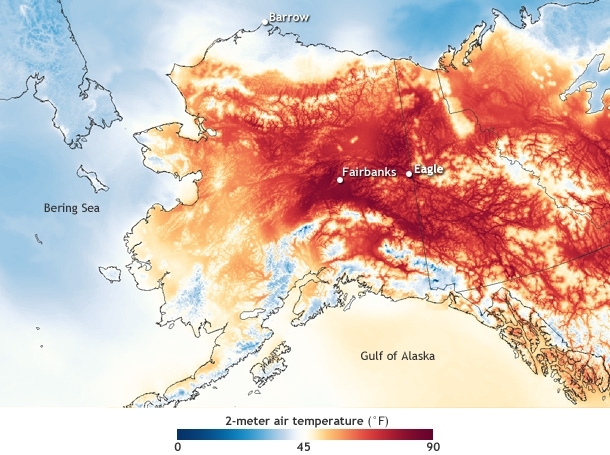 It also suggests that, even though the coasts didn’t hit 90 degrees, the air is probably warmer than usual there, too; melting any ice and warming the oceans.